19. 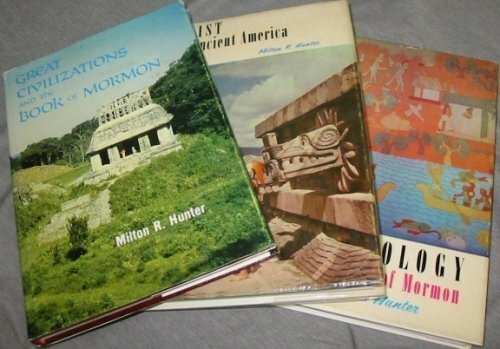 The Civilizations of Ancient America. The Olmecs of southern Mexico are America's oldest civilization and Mesoamerica's "Mother Culture." Famous for their Colossal Heads carved from giant boulders, the Olmecs have fascinated the public and archaeologists since the 1940s when National Geographic magazine reported the initial explorations of their centers. 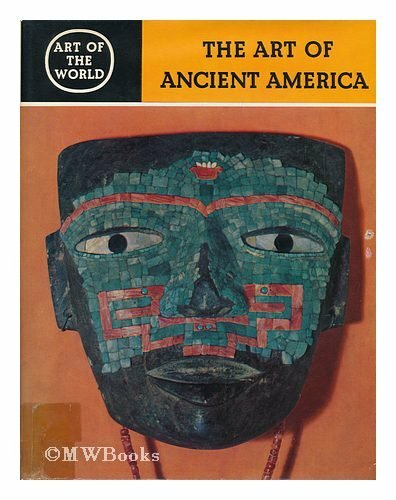 Despite well-publicized discoveries of spectacular basalt sculptures, portable jade objects, and richly decorated pottery vessels, until recently almost nothing was known about Olmec history, foreign contacts, and daily life. Now archaeologists have recovered information that allows them to assemble a remarkably broad picture of Olmec culture, its accomplishments, and its impact on later Mexican civilizations. The book is well laid out and understandable. Does a very good job of providing direct information about the subject. Considering it is a text book it is a good read. 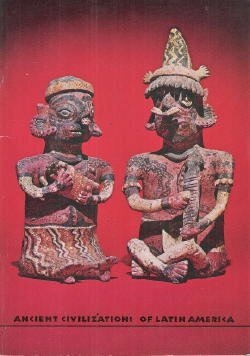 Richard Diehl's book is an adequate survey of Olmec art and culture. That is, there is nothing special about it, but it's not particularly bad, either. However, at one point, Diehl makes a comment that is worth examining a little more closely. In discussing a collection of sixteen stone figurines buried at La Venta together with a collection of jade celts, he says: "Despite the obvious reworking, one self-styled expert in ancient writing systems recently misidentified the engraved lines on the four as examples of Chinese writing, offering them as 'evidence' that the Olmecs were pre-Columbian migrants from China!" This is found on page 73 of the paperback edition. First of all, the 'self-styled expert' that Diehl is here talking about is actually a Chinese professor, Han Ping Chen from Beijing, who is not just an expert in general writing systems, as Diehl's dismissive comment would have the reader believe, but specifically one of about a dozen or so professors in the world specializing in Shang Dynasty writing. As the article in U.S. News & World Reports dating 10/27/1996 states, Chen visited the National Gallery in Washington to see these jade celts at an Olmec art exhibition, and he claimed that he could "easily read" the writing on one of the celts as Shang Dynasty, which he translated as "Rulers and chieftains here establish a new kingdom." Chen is a respected professor, not some whacko, as Diehl would have you believe in order to discredit Chen's finding. The fact is that American scholars of Mesoamerican art and culture have an emotional prejudice against any ideas that Mesoamerican civilization was influenced, especially at its origin point, by Chinese or Asian civilizations. They have claimed that this is an "insult to indigenous Americans." But such a claim, take note, is an emotional prejudice, not a rational objection. The world of truth does not care if the influence of the Chinese on Mesoamerican civilization is damaging to someone's ego. Ego has nothing to do with truth, except when it stands in the way. The evidence for Chinese influence on the Olmec is not only not circumstantial, it is overwhelming. Take, for instance, the fact that the Olmec, in burying their dead, sprinkled the bodies heavily with cinnabar, a practice well known in Shang Dynasty China. Also, the Chinese pioneered jade carving, and it is rather coincidental that the carving of jade did not exist in the New World at all prior to the Olmecs. Both the Chinese and the Olmec have sky dragons that are associated with the bringing of rain, and also a jaguar cult that is similar to Chinese reverence for the tiger. Also, the Chinese generally aligned their cities on a north-south axis, just like the layout of La Venta, also aligned on a north-south axis. The Olmec custom at La Venta of laying out serpentine blocks to create a mosaic image of the face of their jaguar god is very similar to the practice pioneered by the Erlitou Culture of the Chinese of creating animal faces on bronze plaques out of turquoise mosaics. And so on. The list does not end there, by any means, and the list of Asian (including Hindu, Chinese and Japanese) influences evident in Mesoamerican culture generally goes on and on despite scholars' claims that none of this could have happened. One of the standard objections made by such New World scholars is that the Mesoamericans did not have the wheel and did not use metal, whereas the Chinese clearly used both. Well, while the latter is true, it is not quite true to say that the Mesoamericans did not know the concept of the wheel, since wheels are found on their toys, thus indicating that they knew full well about the wheel. Also, it is known that the Maya knew about the use of metals for a very long, long time, and did not pick up metal use until the Postclassic period. But according to Linda Schele, they had long since known of metals but simply decided not to use them, most likely for cosmological and symbolic reasons. These are precisely the kinds of reasons that cause conservative societies to reject technologies which are "obviously better," for the assumption made by scholars that technologies are used when they are present and available and of obvious benefit is simply wrong. All sorts of religious and cosmological taboos routinely prevent archaic societies from picking up "superior" technologies. So those objections are entirely artificial. 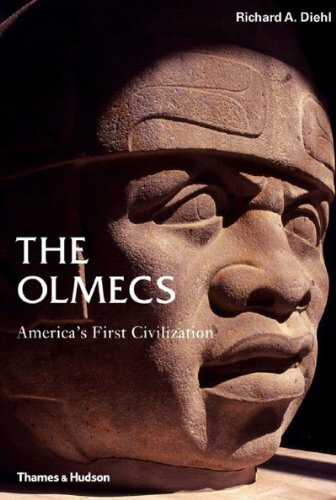 Diehl's book is readable if you are interested in the Olmec, but not if you are interested in knowing whethe the Olmecs might have been influenced by the Chinese. For that, you need a real scholar, not an academic anxious about what his peers might think of his dissenting opinions. Peer pressure is a strong motivator that distorts the thinking of academics in all kinds of ways, and that is why they cannot usually be relied upon for truth. Loners and outsiders are much better sources of truth, since they do not have to worry about what their peers will think of them or whether or not they will get tenure if they say something heretical. Conclusion: If this is an high graduated professor of an university, something of the knowledge and thinking of this people most me out of time. Or, what is the reason for a professor to speak about were-Jaguars-is he consuming were-wolf-films? PS: I know all olmec places very well and think, i know what I' m speaking about! 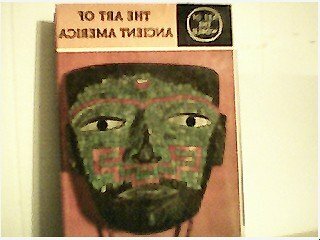 Watch Video Here: http://www.amazon.com/review/R1990VDV3AWT5X Richard A. Diehl provides a well written and informative account of the Olmecs. It is richly illustrated and written in clear and concise language. The book is easy to read. 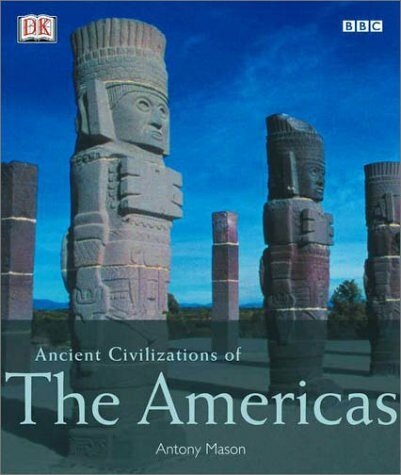 The book makes it clear that the Olmec civilization is diverse and widespread. It provides an abundance of information that support the view that the Olmec civilization is the "Mother Culture" of Mexico.It gives a detailed account of Olmec civilization in the heartland and the expansion of Olmec influence into Basin of Mexico,Chiapas, Oaxaca, Gurero, the highlands of Mexico and Central America. There are a couple of problems with the book. For example,on pg 13, Dr. Diehl claims that we don't have any surviving Olmec skeletons. Granted they are not found in Olman but Dr. Wiercinski did examine Olmec skeletons from Tlatilco that indicate that in the late period of Olmec history the civilization was made up of people from diverse racial and ethnic backgrounds. The book engages the reader in a discovery of an ancient time when great men and women set out to develop a new civilization and open up new lands for settlement. It is a good summary of the research concerning the Olmec up to now. It will serve as popular introduction to Olmec civilization for years to come. This film provides a discussion of the Olmec writing system. Whereas Prof. Diehl thinks that the idea that Olmec art and culture can not be attributed to seafaring Africans, this film shows how the Olmec spoke a Mande language and that the writing of the Olmec can be read using the Vai script. It explains the decipherment of the Olmec writing and how it provides keen insight into Olmec civilization and its royals. Olmec Writing provides a detailed discussion of the Olmec writing only hinted at by Richard A. Diehl. 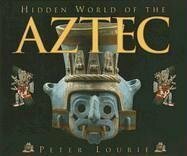 When you pick up a book by author Peter Lourie, you'll realize two things right away.First, he loves history, and his love for the subject comes through in his writing.Secondly, Mr. Lourie doesn't just write about the past.He's a hands-on type of person, and that's clearly evident in HIDDEN WORLD OF THE AZTEC. In 1512, the two-hundred year history of the Aztecs was brought to a close when Spanish conquistador Hernan Cortes captured the capital city of Tenochtitlan.That ancient city, the hub of the Aztec culture, now lies buried beneath a larger, much more modern city--that of downtown Mexico City. Mr. Lourie followed a team of archaeologists, led by Leonardo Lopez Lujan, as they conducted new excavations at both the Great Temple and the Pyramid of the Moon.The work done at the Great Temple was the first attempted in seven years.At the more ancient Pyramid of the Moon, located thirty miles north of Mexico City, a new opening was made at the top of the pyramid, and Mr. Lourie followed a team down into never-before explored tunnels. HIDDEN WORLD OF THE AZTEC is filled with beautiful full-color photographs, maps of the ancient Aztec world, and photos of actual archaeological finds discovered during their time in Mexico City.This first-hand account of what the ancient Aztec culture was like is not to be missed, especially by those with a love of history. Reviewed by:Jennifer Wardrip, aka "The Genius"
I love Peter Lourie's books because they help students see that real adventure is still taking place in a real world.He visited my daughter's school a year ago. I sat in and was blown away by his passion and enthusiasm and his love for history and travel and adventure. He brings that passion to his new title, Aztec. We follow Lourie into the heart of an ancient temple at Teotihuacan, the Pyramid of the Moon.With the same archaeologist from Mexico, Leonardo Lujan, we accompany scientists opening up a new excavation at the Great Temple, the center of the Aztec capital city, which now lies under Mexico City.Fascinating stuff.And not, I might add, without a lively and informative discussion of the significance of human sacrifice to that ancient culture. 19. 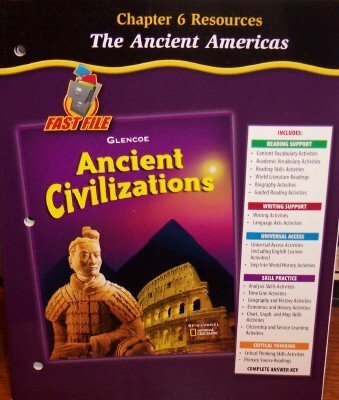 The Civilizations of Ancient America. Selected Papers of the XXIXth International Congress of Americanists.